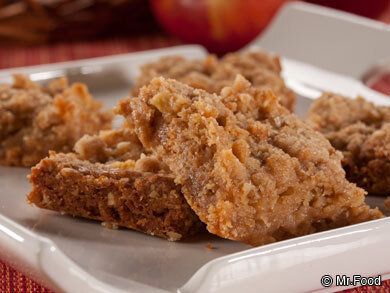 During apple season, we love cooking with fresh apples! Apples are great for everything from pies and cobblers, to homemade butter and glazes. 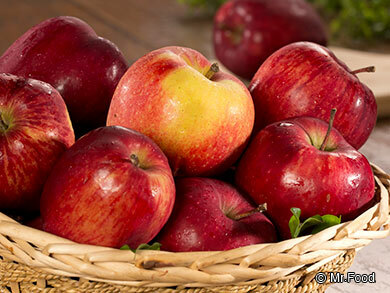 And during the cooler months we love the warmth and smell that apples add to our kitchen. If you like cooking with fresh apples, but always struggle with finding an easy way to peel them, then you're in luck! We want you to make all of your favorite homemade apple eats and sweets, without the fuss and muss, so you can enjoy every bite of apple season! Check out our video and tips on how to peel an apple. 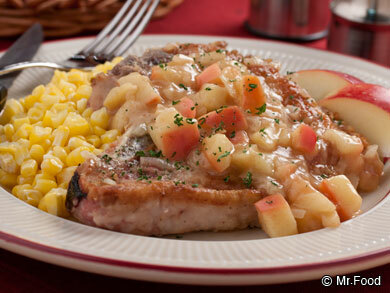 Once you see how easy it is, you'll love cooking with fresh apples! Paring Knife - The most common method for peeling an apple, but not the best, is to use a paring knife. With a paring knife you just run the blade of the knife under the skin, from top to bottom. Unfortunately, you run the risk of losing a lot of the apple's meat this way! Potato Peeler - They're not just for carrots and potatoes anymore! A potato peeler also makes for a great apple peeler. Just peel the same way you would a potato, and voila! Apple Peeler Machine - This is the easiest way to peel an apple! Just place the apple in the machine and turn the handle until your apple is peeled. These machines are relatively inexpensive. Many of these machines function as an apple peeler/corer! Now that you know some simple ways to peel an apple, why not try your hand at one of these easy apple recipes? For even more easy apple recipes, including videos on how to core an apple and how to keep apples from turning brown, click here!